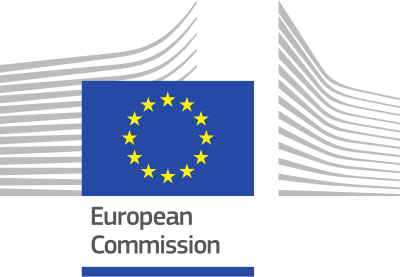 The European Union intends to decarbonize the building sector by 2050. Investment in retrofit could benefit the EU by up to EUR 175 bn per year. One of the biggest challenges for the reduction of GHG emissions results from the poor energy efficiency of existing buildings and still too low refurbishment rates in virtually all member states of the European Union. The reduction of the EU carbon footprint requires a significant increase of energetic retrofits in the existing property stock. The reduction of carbon-risk factors associated with premature obsolescence and potential depreciation due to changing market expectations and legal regulations are key objectives of the EU-funded research project CRREM (Carbon Risk Real Estate Monitor). CRREM aims at supporting the industry to tackle these risks and foster investments in energy efficiency as many assets will become ‘stranded’ properties that will not meet future energy efficiency standards and whose energy upgrade will not be financially viable. The CRREM research consortium consists of five well-known institutions, all with years of experience in the field of carbon research, from various European countries: IIÖ Institute for Real Estate Economics (Austria), University of Alicante (Spain), Ulster University (UK), GRESB (Netherlands) and Tilburg University’s TIAS Business School (Netherlands). The property industry is accountable for about 38% of energy consumption and 29% of all GHG emissions in the EU and therefore plays a crucial role in EU decarbonization efforts stated in INDCs (Intended Nationally Determined Contributions). Ambitious renovation policies could reduce the demand by up to 46% between 2021 and 2030 (European Commission, 2014). For improving the energy consumption of properties, the real estate industry has to increasingly address the mitigation of direct and indirect emissions resulting from the construction phase of new buildings or refurbishments, and where applicable, from the dismantling at the end of the economic useful life. Due to the low refurbishment rates in the existing European stock and the specific requirements due to climate change, any increase of energy efficiency requires more energetic retrofits in the existing property stock to reduce the carbon footprint. Climate change poses serious threats to sustained economic growth and poverty reduction, quality of life and political stability in the world. It is considered that the warming process will affect sea levels and the existence of more frequent natural disasters such as floods, storm or tornadoes, which impact on the quality and maintenance of buildings and infrastructures. The higher temperature levels will change the way of life, commerce and the configuration of urban areas. Climate change and strengthened regulation will require particular retrofitting measures that have an effect on current investment decisions. Risks and uncertainties must be adequately understood, and measures are taken to identify incentives to markets that are clear, long-term and credible, given the relevance of the private sector in the process of stopping climate change. Climate change might endanger the business case of real estate companies if no measures to transform the property stock under management are taken. Therefore, a stronger focus on climate change risk management is essential. A company strategy and risk management must ensure that individual efforts to mitigate CO2 within their portfolio must be sufficient to fulfill EU targets – otherwise the market participant might face a situation where properties do not meet future market expectations and therefore will be exposed to write-downs (we call this the risk of “Stranded assets”). CRREM aims at developing a tool that allows investors and property owners to assess the exposition of their assets to stranding risks based on energy and emission data and the analysis of regulatory requirements. By setting science-based carbon reduction pathways, CRREM faces the challenge to estimate risk and uncertainty associated to commercial real estate de-carbonization, building a methodological body and empirically quantify the different scenarios and their impact on the investor portfolios.